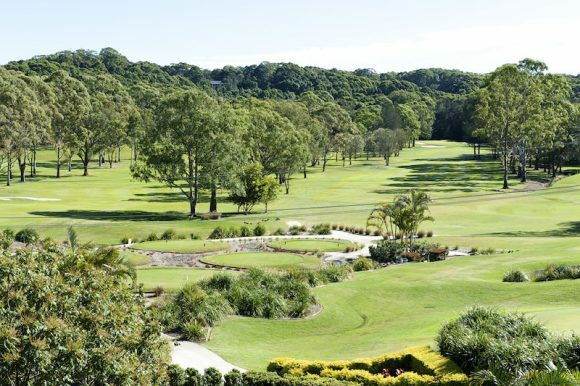 The Byron Bay Golf Club is a challenging 18 hole championship course. Set out on 120 acres of coastal habitat, the course is beautifully landscaped with ocean views from several holes. Byron Bay Golf Course is a par 72 golf course. Like many coastal courses, wind strength and direction plays a determining factor in how easy or difficult the golf course plays. The Byron Bay Golf Club is approximately 5 km south of the Byron Bay CBD. It is situated on Broken Head Road, opposite the Byron at Byron Resort and Spa. The club boasts a popular restaurant ‘the deck at Byron’ which offers casual dining bistro style, with spectacular views across the golf course.